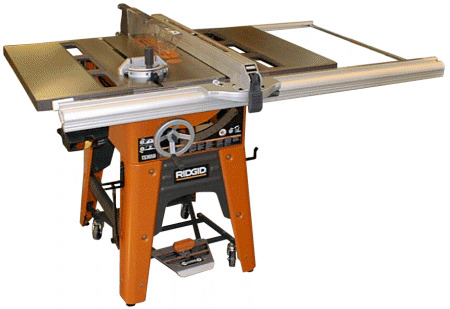 These saws are a must in the finish carpentry field. Choosing the right saw depends on the uses you need it to perform. A big expensive one is not necessary for trimming. I just have a cheaper portable model that I carry with me from job to job. At home however I have a big more expensive model which can do anything I want it to. Here we will take a closer look at the features of these saws. The first thing and most important feature to look for when researching which saw to buy is the rip fence. The fence setting controls the width of your rip. Ideally a fence that grabs onto and rides on front and back rails works the best but the cheaper saws may not have these rails. Again sticking to the major brands you are safe here. Even when buying the cheaper models of the major manufactures. All of these saws come with some basic blade controls. One of these controls adjusts the height of the blade. The other control is the blade tilt for making beveled cuts. These controls among others are more sophisticated on the higher dollar models but basically do the same thing on every saw. Most saws come standard with a general carbide tip ripping blade. These blades will do the job but if you are looking for cleaner quality cuts a better blade would be a 40 or 60 tooth blade. These blades are more expensive but in my opinion are worth the money. Some other tools and accessories or jigs include stacked dado cutting sets which are fun to use and work with. Others include tapering jigs, panel-cutting jigs and various others. A lot of these are designed for the higher end model saws however. Return From The Table Saw page to Home - Finishcarpentryhelp.com.